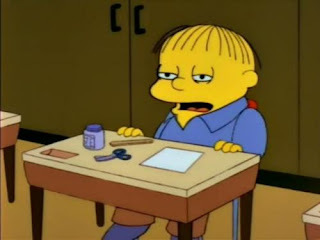 You may think that this character is Ralph Wiggum, but that's not a wholly accurate assumption. First off, there's the obvious intellectual disparity - this kid says things like 'It's recess everywhere but in his heart', while Ralph says things like 'I bent my Wookie'. 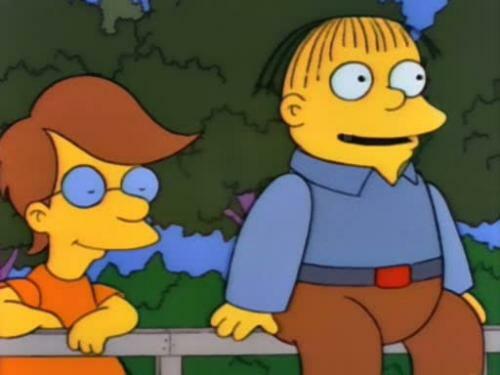 His two of appearances as part of the chorus are in Season 3 - Episode 8 'Lisa's Pony', and Episode 23 'Bart's Friend Falls in Love'. 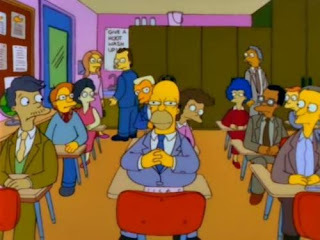 His third appearance is in Season 4, Episode 4 'Lisa the Beauty Queen', which is important, because it comes three episodes after the introduction of Ralph Wiggum - at that time a different character! 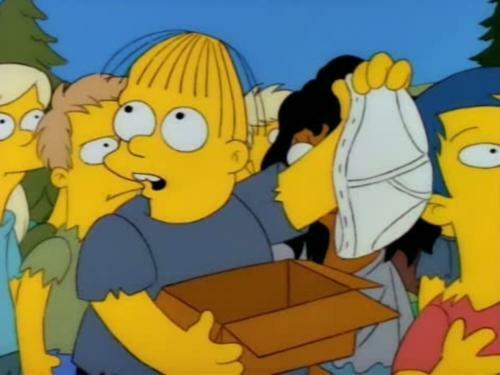 This is the child identified as 'Wiggum' in the 'handing out mail' scene. 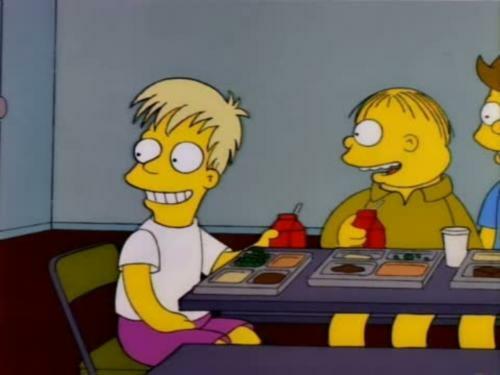 while the hair may be similar, this Wiggum child, presumably Ralph, bares no other physical resemblance to the chorus member we've seen up until now - and there's no sign that he's a classmate of Bart or Lisa's. That's Martin's Dad, second from the left! An adult version of the Chorus member, clearly intended to be his father! 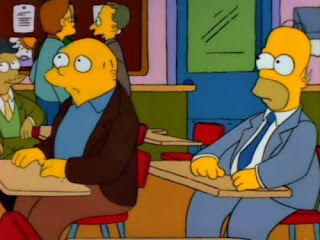 I know there's always a paste-eater, but did it have to be the clever guy? Ralph Wiggum. I'm not suggesting that this was a turning point in the show's journey towards awfulness, but it certainly shrank the world the Simpson lived in, and that would go on to create problems further down the line. 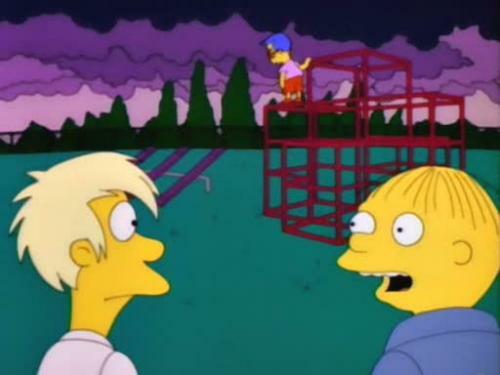 Poor Ralph. Now (pretty ago) he's a completely f*cking retarded. "They" ruined it.